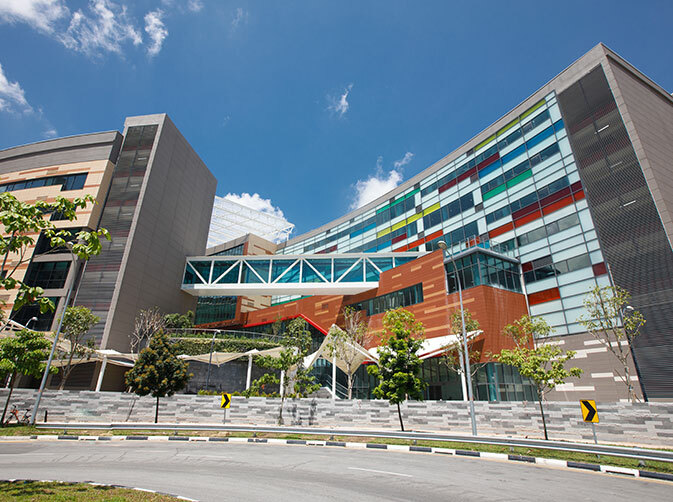 The GIIS SMART Campus is the most technologically advanced school campus in Singapore, and possibly the region. Let’s see how our high-tech facilities help our students learn and do better. Innovative ‘disruptors’ have completely transformed how we live: from ordering food to hailing a cab. At our Global Centre for Innovation and Entrepreneurship, we help students develop the business acumen, entrepreneurial spirit and innovative thinking that can help them become the disruptors of tomorrow. And, hopefully, spark a flame that will light a new way forward for humanity. These virtual sessions can also recorded for easy reference before exams. We are the first international school with SPEDAS, a system used by the likes of the LA Lakers. It tracks our student athletes’ performances, generating invaluable data that help us develop winning strategies for both training and game day. Studies show that students learn more effectively when they’re close to nature. This is why our campus is designed blur the lines between its surrounding greenery and the classroom environment. Large glass panels let in abundant natural sunlight; optimised air flow brings a constant supply of fresh air; open areas, natural building materials and a beautiful landscaped garden all combine to form ideal spaces for learning.